On sale! (normally $239) As a special branch, New Ark 90SE maintains all the key features of its family, while offering more fun for DIY. 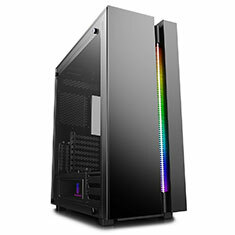 In this E-ATX case, you can install up to 360mm AIO liquid coolers at the front, at top or on the side. Meanwhile, with the pre-installed RGB hub, you can build up your ADD-RGB carnival lighting and control it with case buttons. At last, the universal features of the product family such as a transparent PSU shroud, rubber grommets and a pull-out HDD cage will continue to provide you with great building and using experiences.